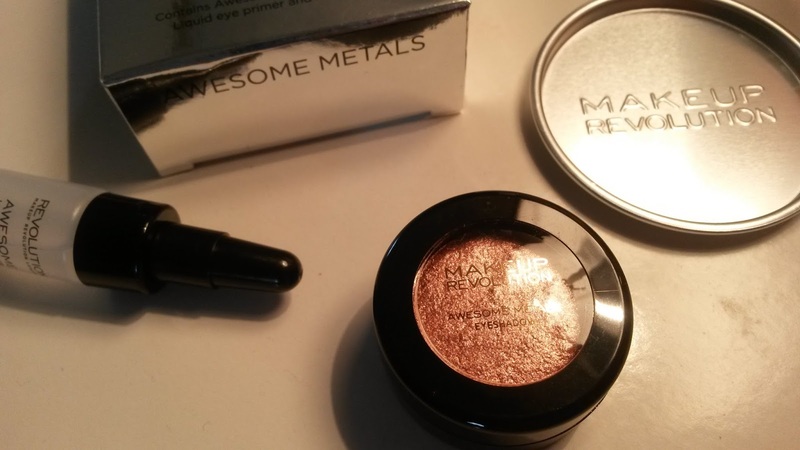 Makeup Revolution introduced Awesome Metals eye foils when they launched back in March in five awesome shades, we have magnificent copper, black diamond, pure platinum, emerald goddess and rose gold. I was a little wary of these on application asking myself a few questions; Would they smooth out on the eye lid without issues? Would they look bad after a few hours wear? I needn't of worried. 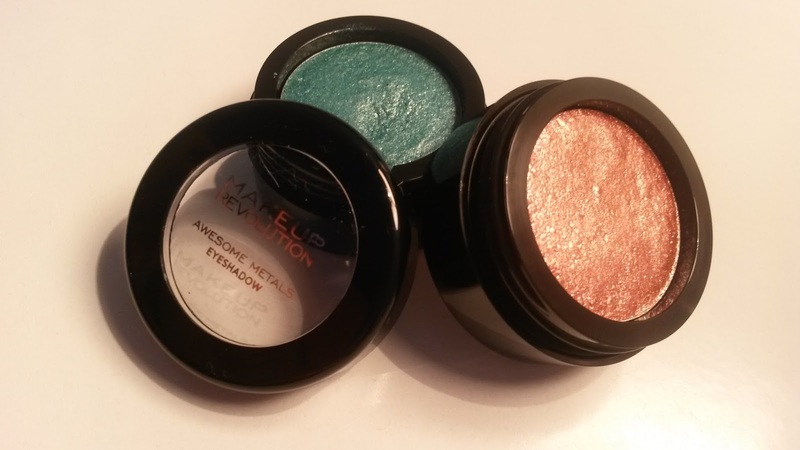 The shades I got are magnificent copper and emerald goddess - I definitely want to get my hands on the rest of the foils, along with a whole list of other products from the brand. On opening you get a little tray with the logo on, a bottle of primer and a little pot with your chosen shade, all comes in a little box with instructions on the back. On feeling the product I found it to be a lot creamier then I expected it to be, which in my eyes ended up being a bonus - it's a lot easier to work with. Put a small drop of the liquid eye primer into the tray. Put a little awesome metals product into the tray. Mix the awesome metals and primer together. The eye foils have lots of shimmer and a real metallic feel going on, I'm a huge fan of these for that reason alone. Some might think these are better for nights outs rather then day wear, I think differently - you can wear these for both day and night. On applying these can be built up for a more intense look with layers or subtle with just one (the more layers the better the foil effect). Despite how creamy they are they do in fact work well with other shades too, I used a palette from another brand (sorry Makeup Revolution) along with the eye foils to create a smokey eye and they blended together fabulously whilst giving the awesome metal a more subtle look - if you don't like a lot of shimmer. I used a eyeshadow brush from Models Own to apply these and they applied beautifully, and mess free. The staying power is out of this world, I got 12 hours wear and even when taking it off after a kids birthday party (phew!) it was still completely intact and had not even began to fade. The Awesome Metals along with the primer create a long lasting formula and definitely worth the £4.00 price tag and more. I for one are looking forward to experimenting more with these and hopefully adding more shades to my collection - for now holiday saving is a must! You can purchase all the shades here. This post contains a press sample, however all opinions are honest and my own. Been really wanting to get my hands on these, but have been resisting because I have too much make-up. They looks so stunning though, Im surprised at exactly how good the pigmentation is. 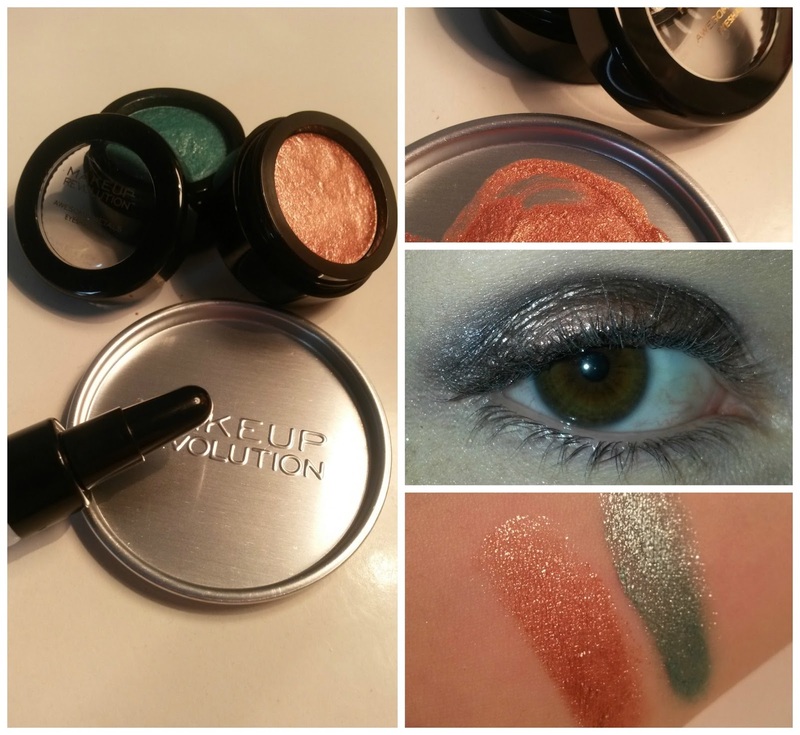 Makeup Revolution look like such a fab brand, new to jump on this bandwagon I think!